We're just a few days away from Apple's annual fall event, where we expect to see the launch of the new iPhone 7 and iPhone 7 Plus, a second-generation Apple Watch with new bands, and refreshed Beats products. We may also see the debut of Apple's rumored wireless "AirPods" earbuds, and we'll find out when iOS 10, macOS Sierra, tvOS 10, and watchOS 3 will officially launch. For details on all of Apple's new products culled from the rumors we've heard over the course of the last year, read our below guide on what to expect, but beware -- there are lots of spoilers! Design wise, the iPhone 7 and iPhone 7 Plus will look a lot like the iPhone 6s and 6s Plus, featuring the same dimensions (4.7 and 5.5-inches) and thickness. There will be some visual differences, though, including relocated antenna bands that no longer span across the back of the device and larger cameras for both devices. The iPhone 7 is said to feature a bigger camera with optical image stabilization and perhaps a larger sensor for better low-light performance, while the larger iPhone 7 Plus will include a dual-lens camera that should bring some significant improvements resulting in truer colors, less noise, and crisper images for brighter, more detailed photographs. The other major visual change is the lack of a headphone jack, which is being eliminated in Apple's newest iPhones. Headphones will connect via Lightning or Bluetooth, with the space left by the headphone jack being taken up by a second set of speaker holes. These won't necessarily be functional speaker holes and are not an indication of stereo sound -- one of the holes may house a microphone while the others will simply be cosmetic additions to make the phone look symmetrical. Lightning provides better quality audio than a 3.5mm headphone jack, which may be one reason Apple is making the switch. The removal of the jack could also be a major factor that's allowing Apple to improve the water resistance of the iPhone 7, as has been rumored. It's not clear if enhanced water resistance will be a quiet update or a headline feature, but liquid should be less of a problem for the new devices. Better water resistance and better reliability may also be the reason behind another rumored feature, the introduction of a flush Home button. Apple is said to be eliminating the physical Home button in the iPhone 7, introducing a flat button with haptic feedback capabilities to mimic traditional button presses. 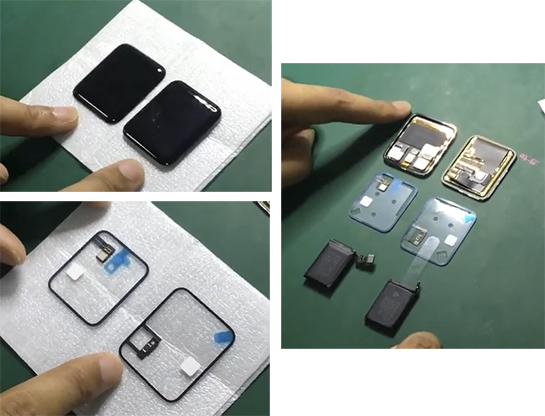 Inside, the iPhone 7 is expected to include a more efficient A10 processor, faster LTE and Wi-Fi chips, and perhaps some improvements in battery life introduced through software and hardware streamlining and a somewhat larger physical battery. Displays that adopt features first introduced in the 9.7-inch iPad Pro, such as DCI-P3 Wide Color gamut and True Tone ambient lighting adjustments, are not out of the question. 2GB of RAM is rumored for the smaller 4.7-inch iPhone 7, while the larger iPhone 7 Plus could come with 3GB of RAM because of the greater system resources a dual-lens camera consumes. 16GB of storage space is rumored to be a thing of the past, and the iPhone 7 and 7 Plus models are said to start at 32GB of storage with a maximum of 256GB of storage. That latter option may be limited to the 5.5-inch iPhone. The iPhone 7 could come in five colors this year: Rose Gold, Gold, Silver, Space Gray, and a new "glossy" Space Black color. Multiple rumors have hinted at the Space Black color option, but whether it'll actually happen is up in the air because we haven't seen much evidence of the new color. For more details on what to expect from the iPhone 7 and iPhone 7 Plus, make sure to check out our full iPhone 7 roundup. Like the iPhone 7, the Apple Watch 2 is rumored to feature few, if any, exterior design changes, so it's going to look a lot like the original Apple Watch. It will continue to come in 38mm and 42mm sizes, and Apple will continue offering the watch in different materials at a range of price points. Improvements to the second-generation Apple Watch will be largely internal, with Apple rumored to be including a faster processor, better waterproofing, a bigger battery, GPS functionality, and a barometer. GPS functionality and a barometer will enable better navigation and fitness tracking capabilities, with the Apple Watch 2 able to better calculate location when not near the iPhone. Based on part leaks, the 42mm Apple Watch 2 could have a 35 percent larger battery, and similar improvements would likely be introduced in the smaller model. A slightly thinner Apple Watch display has been spotted, in line with rumors suggesting the company will use new display technology, but space saved with the display component may be taken up by the larger battery, resulting in an Apple Watch 2 that's likely to be the same thickness as the original Apple Watch. Additional battery life is essential to compensate for the inclusion of a GPS chip. We've heard some confusing rumors about the Apple Watch that have suggested Apple is planning to introduce an upgraded first-generation Apple Watch with a faster processor and improved waterproofing, so there is the possibility that models at different price points could have different features. With many existing Apple Watch models and bands out of stock, the Apple Watch 2 will undoubtedly be accompanied by a selection of new Apple Watch bands in new colors and perhaps new styles. Details on forthcoming Apple Watch bands have not been leaked, though. For more details on what to expect from the Apple Watch 2, make sure to check out our full Apple Watch 2 roundup. iOS 10, macOS Sierra, tvOS 10, and watchOS 3 have been in testing since they were first unveiled at the Worldwide Developers Conference in June, so we're well acquainted with the new software features, but the September 7 event should offer one missing tidbit of information - official release dates. iOS 10 will likely be released two days ahead of when the iPhone 7 launches, which is when we've seen past iOS releases take place. Rumors suggest the iPhone 7 will be available on either September 16 or September 23, so we'll see iOS 10 on Wednesday, September 14 or Wednesday, September 21. Because watchOS 3 goes hand in hand with iOS 10, it's likely to be released on the same day iOS 10 is released. Mac software updates have historically come later in the month than iOS releases, so we may not see macOS Sierra until the end of September. As tvOS is a new operating system, tvOS 10 is a bit of a wildcard. It could come alongside iOS 10 and watchOS 3, or later in the month with macOS Sierra. Apple is likely to release golden master versions of iOS 10, macOS Sierra, watchOS 3, and tvOS 10 following the event to finish final testing ahead of the public launch of the software. 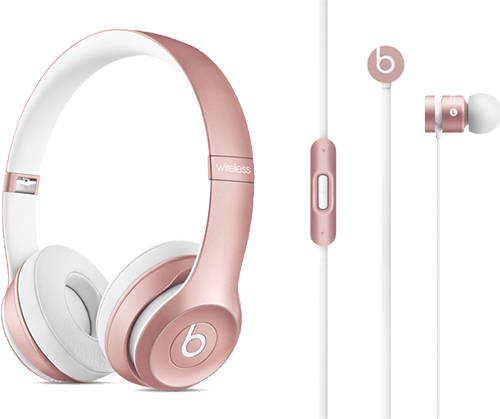 Apple accidentally let it slip that new Beats products are in the works, with a debut set for the September 7 event. No details are available on the prospective update, but it will undoubtedly see the release of new wireless Beats headphones and wired Beats headphone models with Lightning connectors. For the last several months, Apple has been quietly working on a product called "AirPods," which are said to be wireless Bluetooth earphones that could be sold alongside the iPhone 7. 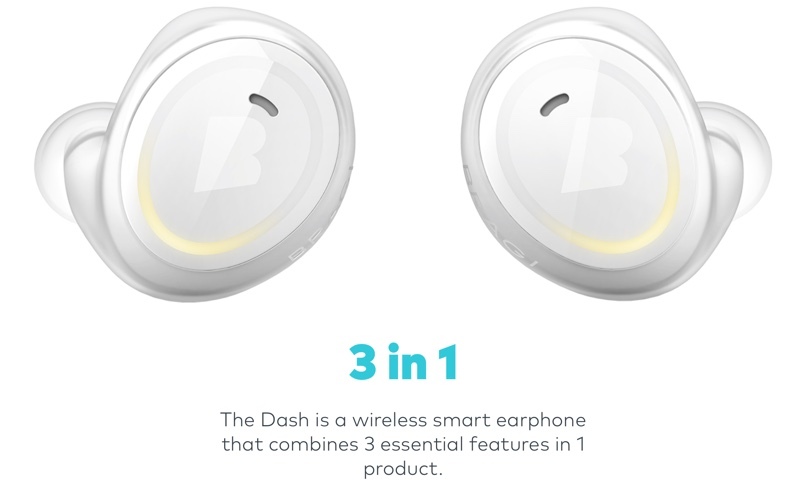 The AirPods are rumored to be totally wireless like the Bragi Dash, without a connective cord between the earpieces. The wireless earphones reportedly have a battery life of approximately four hours, but may ship with a carrying case that serves as a rechargeable battery to extend battery life as much as possible. We don't know if the AirPods are going to be unveiled at the September 7 event, but Apple was recently granted a number of product certifications from the Eurasian Economic Union, including AirPods, suggesting it is a finished or near-finished product. Nevertheless, the AirPods may not be ready to go and are something of an unknown for the event. 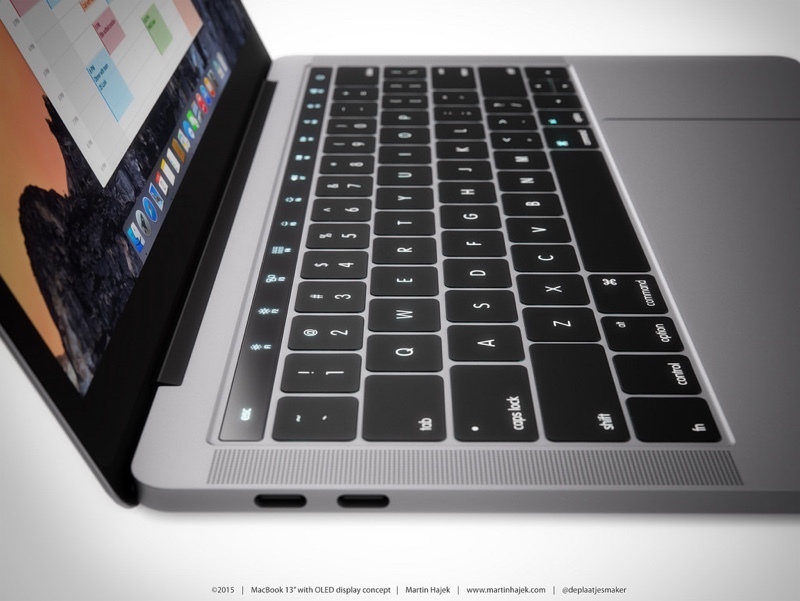 We're all eager to see new Macs, especially the rumored MacBook Pro that features a major design overhaul with an OLED function bar, but unfortunately, refreshed Macs are not expected at the September 7 event. Multiple reputable sources have said the event will focus on the iPhone and Apple Watch 2, with Macs to come later in the year, perhaps as soon as October. MacRumors will be offering a live blog and full coverage of Apple's September 7 event, both here on MacRumors.com and through our MacRumorsLive Twitter account, so make sure to join us on Wednesday morning at 10:00 a.m. Pacific Time to see just what Apple has in store. What exactly has Apple been doing the past two years? Underwhelming. Get this keynote over with and bring on 2017. Definitely feels that way! Still hoping for some sort of "wow" factor but this isn't the same Apple as years past. They seem to be releasing materials on a "just get by" mentality, instead of pushing the envelope. I stopped watching these live. They take too much time to announce too little. I really don't want to see another star of the music industry totally muff a presentation. A couple of paragraph recap when it is over gives me the information I need and I don't lose an hour of development time. The Apple part of the presentation can be really slick but very redundant. Tell me something then show me a video about it then talk about it in a recap post video. I pretty much got it the first time you said it and put it on a huge slide. I'm trying to tamp down my enthusiasm, but since I have none, it will be difficult. Making new phones so great that several hundred million people world wide, let that sink in, have wanted to buy them. And, the iPhone 7, assuming the rumors are correct, will positively reflect upon the 20 Billion they have spent the past couple of years on R and D, and the billions in the years before, with double base storage and double max storage, faster charging, a new faster and more powerful processor, increased battery life, new stronger screen with even sharper resolution and TrueTone color accuracy, Optical Image stabilization, great new low light camera, new duo lens system, better built in speaker sound, new microphone system, new two way lightning headphones, new color choices, etc., plus whatever improvements haven't leaked. And a new operating system for it. And that all in just 12 months on one product. But you are right, it is still a rectangle! Damn, if Tim Cook and the tens of thousands of engineers at Apple would just stop staring out the window, they might get something done. They will pay the price when only 60 to 70 million people decide they like the new iPhone enough to buy it in the Christmas season and close to 200 million buy it in the first year. I can only imagine your depression then.